No landscaping venture is complete without decorative pathway lighting. If you are planning on modeling your backyard or any similar project, you might want to consider installing solar pathway lights as a cost-effective and beautiful solution for your lighting needs. Here are some tricks and tips you might appreciate before you actually install these. The most common use of solar landscape lights is pathway lighting. Prior to installing your solar lights, you need to make sure that the place you intend to put solar lights gets plenty of direct sunlight. Then, set the distance between two solar lights as it is up to you to decide whether you want the path to be brightly illuminated (recommended for difficult terrain), or if you want to use solar lights only as accent lights. Typical landscape lights are known as bollards. These have the solar panel on the top of the fixture and LED lights just below it. When you are installing these light fixtures, you need to make sure that your solar panel gets as much direct sunlight as possible, so you will have to consider the angle at which to put your light fixture. This can vary depending on your geographic location as it affects the time and intensity of light on your property. If needed, use a solar lighting companies for the best advice. The majority of contemporary solar lights are turned on or off automatically by measuring the surrounding light levels. You need to be careful not to place solar lights too close to any other source of artificial light. This includes street, garage, and porch lights. If it detects the light coming from another source, the solar light will not activate. If your solar light is not functioning properly, check whether that is the problem before you contact the maintenance company to check it out. When storing solar lights, you need to follow some basic rules. The most important one is keeping them dry, since electronics and batteries do not react well to moisture. Do not to keep them in darkness. If they cannot recharge and discharge, the batteries tend to lose the ability to hold charge. As for cleaning them, the most important part to keep clean is the panel itself. You want to keep the debris off of it as much as possible in order to ensure the best possible performance. A dry cloth and some soapy water will do the trick. Solar lights are often mentioned as a great alternative for parking lots and industrial complexes, but they are also used for these smaller and more creative applications. 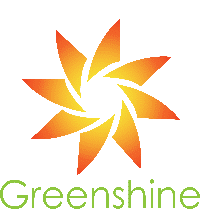 Greenshine offers a wide selection of solar lights including decorative, commercial and industrial solar lights. Contact us today to discuss your project today. Next Post Commercial Solar Lights or Low Voltage Lights?